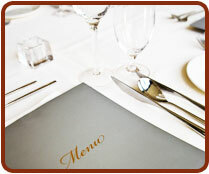 Kings Kitchen serves the best South Indian, North Indian and Chinese foods which is prepared by experienced chefs. Tastes of food attracts diner of all tastes for sure. Retreat of South Indian and Chinese dishes served at Raj Bhavan – Pure vegetarian restaurant at reasonable cost. Say Cheers with variety of Indian and Foreign Alcoholic and Non Alcoholic beverages amidst amicable air conditioned Peg ‘n’ Mug bar with combination of cocktails at our best preparations. Perfectly lounge yourself with exotic drinks & food in the lazy afternoons. Palm village takes you to the peak during your afternoons. Cauvery the Sacred place suitable for marriage which is made in heaven - reception - Business conferences which covers upto 750 – has its dining hall separately with ample car parking, kids playing zone and so on.